Did you rock your travel goals last year? Check out where we’ve been! Lifetime experiences are our inspiration. What are yours? 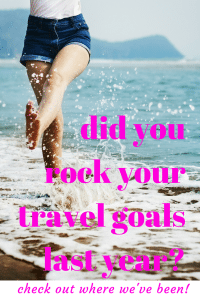 Did you rock your travel goals last year? Take time in the New Year to review and reflect last years’ lifetime experiences. Did you achieve what you wanted to? What has inspired you? We traveled widely last year. On January 1 – New Years Day we started the year off in Fort Lauderdale about to board a cruise ship for the Caribbean. I have been cursed with an obsession for ‘wanting to do it all’. I don’t like waiting. Now is always good! Setting goals has been my way of managing all the things I want to do, into bite sized chunks. Here are some snippets of places we visited last year! We arrived in Fort Lauderdale on New Year’s Day ready to kick off our sea journey on a 7 day Caribbean Cruise. We’d chosen the Celebrity Equinox. It was time to thaw out after spending our Christmas and New Year traveling between Niagara Falls, New York City and Boston. We were looking forward to some warmth! Arriving at our hotel on the foreshore we wandered along the beachfront and found ourselves a bar with live music, mojitos and a blazing fire-pit. Perfect! Boarding this luxury cruise ship around midday we had time to explore the ship and get comfy in our stateroom before sailing. Celebrity Cruises has taken us to the next level of cruising! 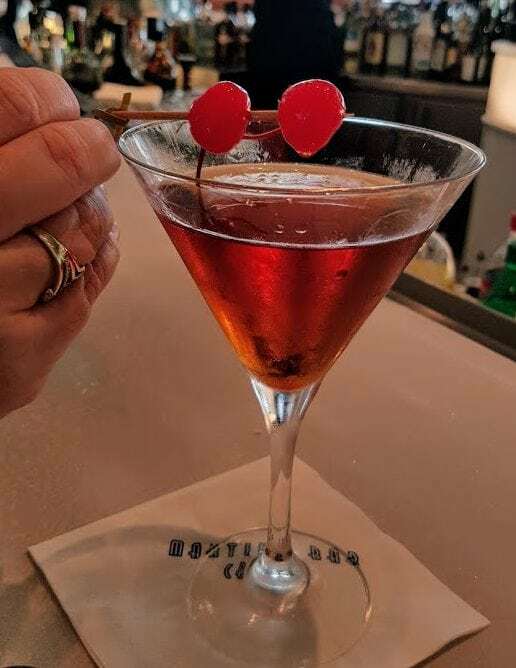 We discovered the Martini Bar early in our cruise and over the course of the next 7 days, we learned all about Martinis – especially about pouring a ‘flight of martinis’! The meals are always amazing on cruise ships. The main dining room was huge and on our first night we met our dinner partners and selected from a broad menu containing fresh lobster and some of the finest steak dishes paired with the perfect choices of wines. The service was on point, with staff attending to our every desire. The alternate restaurants on-board featured Japanese, Asian fusion, Italian and a-la-carte styles so it was great to have dining options. Shipboard activities were offered on sea days and there was plenty to do. Music, swimming pools, sun bathing, gym & saunas, beauty treatments, art auctions, dance classes and wine tasting were some of the things offered. We enjoyed a number of shore activities, often opting to do very little and simply enjoy the atmosphere. 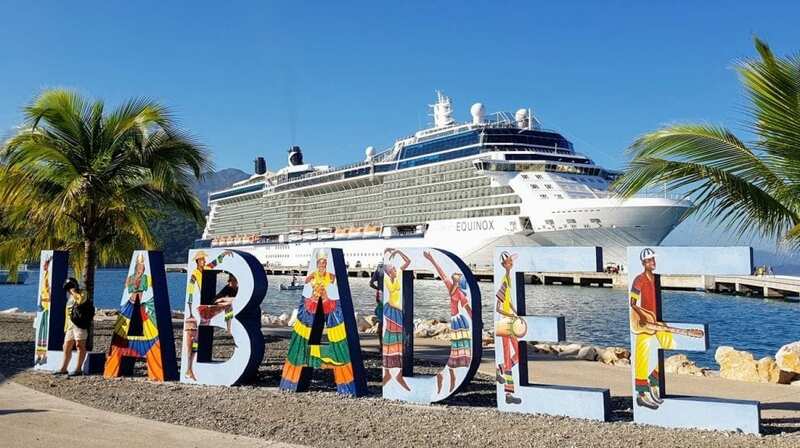 Labadee is a a port located on the northern coast of Haiti. It is a private resort leased to the Cruise line, Royal Caribbean. 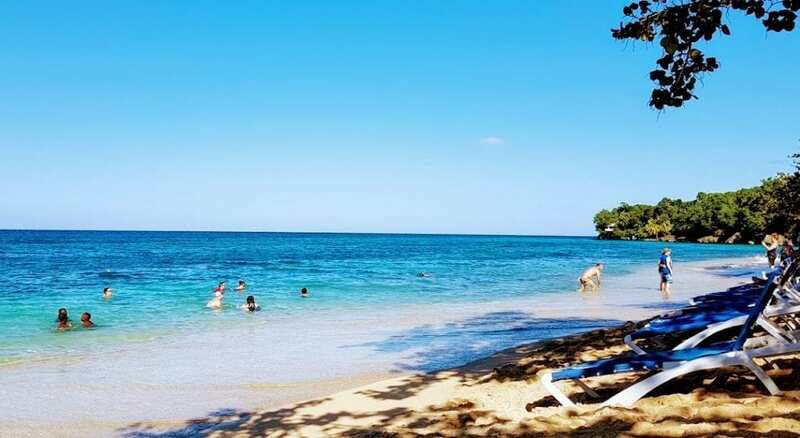 Our history tour of Labadee picnic lunch conducted by a Haitian man was interesting and there are a number of old ruins beside the beaches in the bay and uninterrupted beach time. Haitian flea markets for available for souvenirs and beach watersports and a zip-line up into the cliffside were available for the more adventurous. Arriving at the port in Kingston, the capital of Jamaica we took a tour covering the sights of Jamaica and ended up swimming at this beautiful beach sheltered by trees along the waters edge. Language lessons began as we boarded the bus, learning how to say ‘ya mon’ and ‘no problem mon’ with just the right accent. By the time we arrived at our first stop we were experts! We visited a typical Jamaican shopping village for the obligatory bright coloured clothing, a beautiful old church and took in all the vantage viewpoints of this beautiful laidback island. With the busyness of cruising life we opted to have a lay-day in the Georgetown and decided to explore the town centre. We shopped and took the opportunity to hang around Georgetown. We visited Jimmy Buffet’s Margaritaville to catch up on emails utilising their free WiFi and was served the biggest Nachos ever. Shopping was fun, gift shops, island style clothing and plenty of jewelry shops tauting duty free goods. It’s a place we’d like to return to explore further. Cozumel was fun! 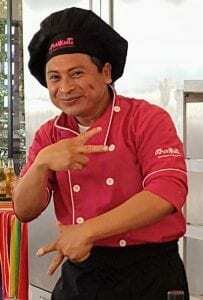 We signed up to do a Mexican Cooking Class in Playa Mia in Cozumel. It was a fun day and we sat at lunch together to taste the fare .. several margaritas later! The rest of the day was spent lounging on the crowded beach watching the water activities, like parasailing, tubing and waterskiing while others swam in the clear blue waters. 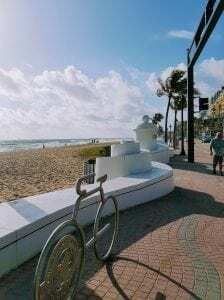 We had decided to incorporate a road trip into our travels through Florida so picked up a rental car wen we returned to Fort Lauderdale and headed south to Key West. Driving on the wrong side of the road was at first quite nerve racking for this couple of Aussies when cars headed towards you from an unexpected direction. Sitting in the passenger seat give me a few heart attack moments as I tried to adjust to the differences between road traffic in Australia versus the States. Heading south onto the keys was a great experience. I was fascinated that someone had the imagination to link up these small islands and coral cays with bridges to give them access to the mainland. 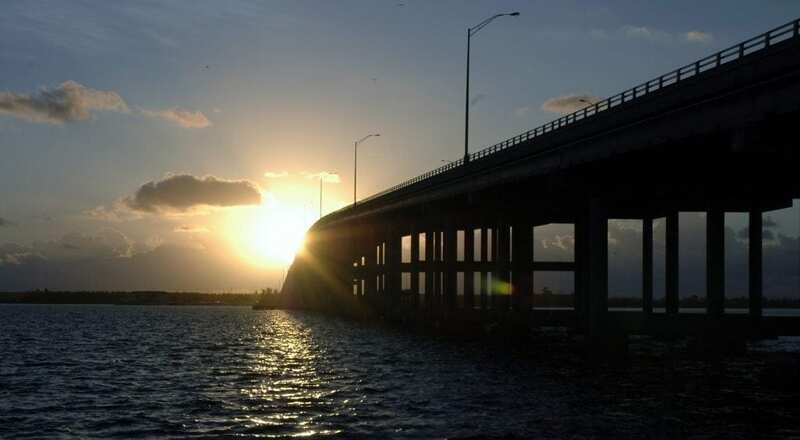 The Florida Keys are a string of tropical islands stretching about 120 miles off the southern tip of Florida on the Gulf of Mexico. Popular for fishing, boating, snorkeling and scuba diving Key West has long been on our bucket list. Duval Street for it’s many bars and restaurants. Ernest Hemingway Home and Museum. I wasn’t a fan of visiting old homes but Hemingway House has changed all that for me. He was a charming rogue with a penchant for adventure and excitement. I couldn’t believe a trust has been set up for the descendants of his 6-toed cats – all 53 of them! Harry S Truman’s ‘Little White House‘ was an interesting perspective of this popular President. 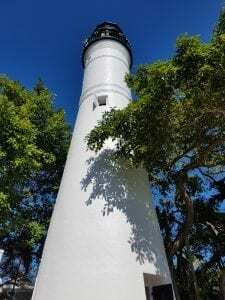 The climb up the 88 steps to the top of the Key West Lighthouse. The views are spectacular. We drank with the locals at the infamous Sloppy Joes, ate fantastic Mexican Food, enjoyed freshly caught Lobster and explored Cuban and Caribbean flavours and yes, of course we sampled the legendary Key Lime Pie. We’ll definitely be going back! 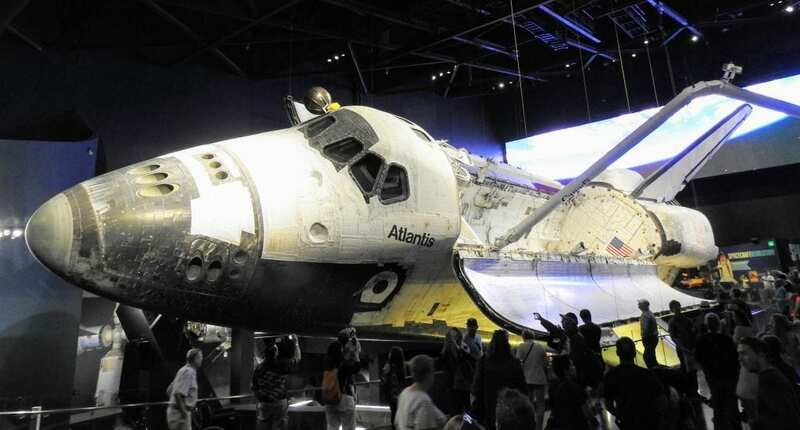 We had planned to stay 1 day to see the Kennedy Space Centre. We stayed 3! To see the life sized visual presentations showing close shots of the moon, 3D presentations, simulators was an experience on it’s own but one of the most enjoyable events was to have ‘lunch with an astronaut’. We lunched with Marcos Pontes, the first astronaut from Brazil. An amazing man with a great perspective on life. We arrived in Tallahassee on dusk, and decided to stay the night to break our journey across to New Orleans. We were surprised to learn that Tallahassee was the capital of Florida as we’d thought it always was Miami. Tallahassee is known for its grand old buildings, state parks, wildlife reserves and animal refuges. Many of these are historical buildings such as missions, plantation buildings and vintage houses. A beautiful city. 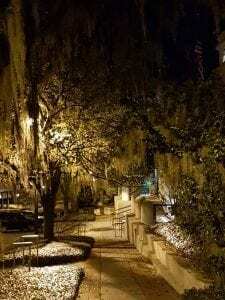 We walked in the early evening light with the trees all lit from Christmas – a very romantic city. We didn’t stay long in Mobile, Alabama. At the roadhouse where we stopped to refuel, a couple of trucks (utes) pulled in with Grandpa, sons and grandsons obviously on an outing together. Rifles were showcased on racks in the back windows of both vehicles. All piled out of the vehicles in camouflage gear and headed in for a hamburger. Noted was that the young boys had big hunting knives strapped to their sides. It gave us cause to remember that we come from very different worlds. 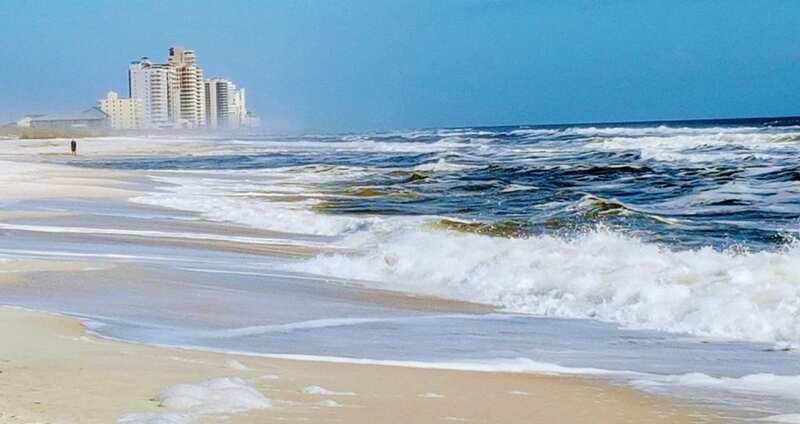 Having kept to the major highways we decided we’d head to the coast to see some of the beaches along the Gulf of Mexico. Such beautiful beaches, white sand, deep blue water and hardly a soul in sight on the beaches. This would be the ideal beach to holiday at! Oh my God! We just loved New Orleans! We stayed in a romantically french styled hotel called the Mazarin Hotel with a gorgeous inner courtyard. It was close to the action of Bourbon Street but far enough away to relax and chill out. 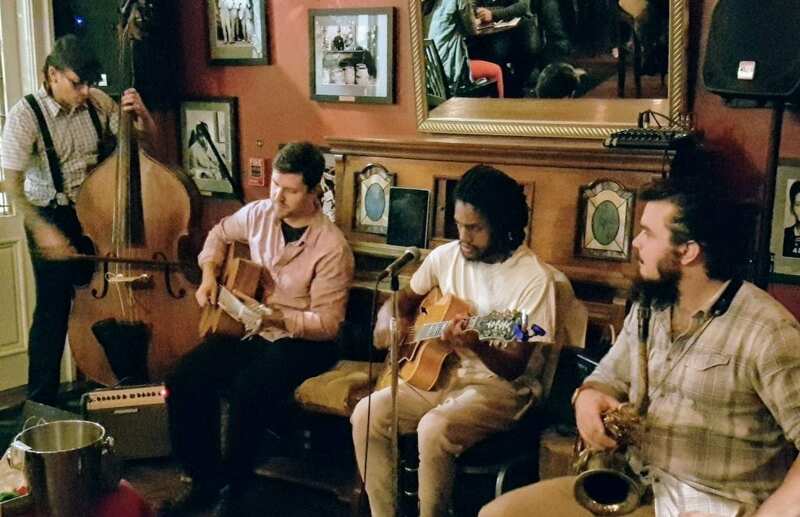 We dropped our bags into our room and headed out to find a bar, following the sounds of jazz coming from the 21st Amendment Bar at La Louisianne. What a find! Food in New Orleans was amazing! We tasted everything from beignets, oysters, jambalaya, Po’boys, Gumbo, Muffuletta, blackened redfish and pralines! We couldn’t get enough of the tastes from the deep south! New Orleans seems have an obsession with its spooky history, but for tourists it’s often a new experience. I recommend you do the following tours as they were loaded with local information and a ton of fun. Walking Food Tour – a must do tour. All you need to know about Nawlins food! 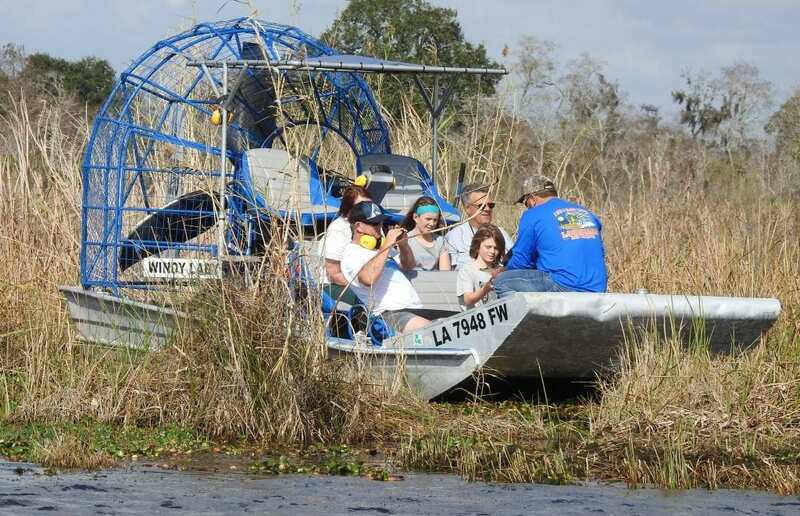 Everglades Airboat Tour – a fascinating glimpse into the Everglades & the world of gators. There’s so much more to New Orleans than Bourbon Street. It’s alive with music and southern hospitality. New Orleans was welcoming and definitely a place I want to go back to. We took a long weekend in Adelaide to attend a friends’ wedding and enjoy the cooler weather – a welcome change from the fierce summer temperatures of the Northern Territory. 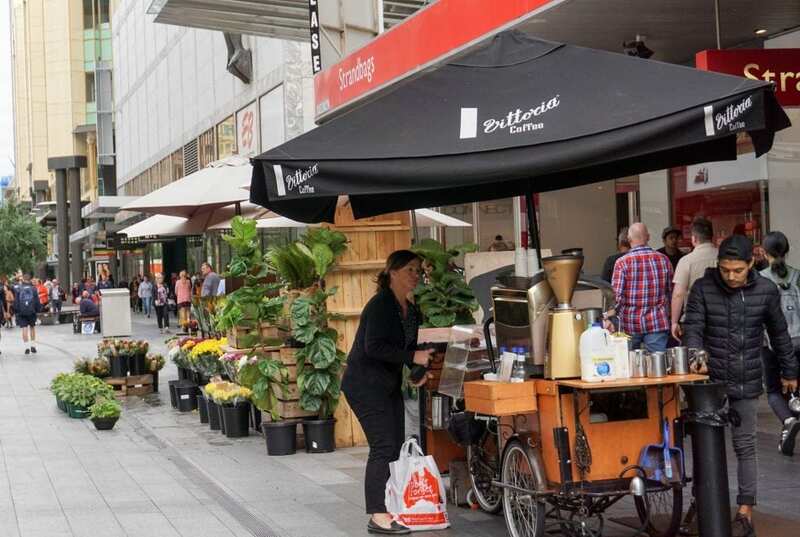 Adelaide combines exceptional food and wine, art, shopping, a bustling bar scene, world-class events and festivals and its always a fun place to visit. When it comes to unique winery experiences, South Australia goes above and beyond. We arranged to spend a day with friends combining a winery tour with Cellar Door Tours to take us into the Barossa Valley and the Adelaide Hills. It turned out to be a fantastic day to catch up on all the news, share food and wine and enjoy our day with treasured friends. 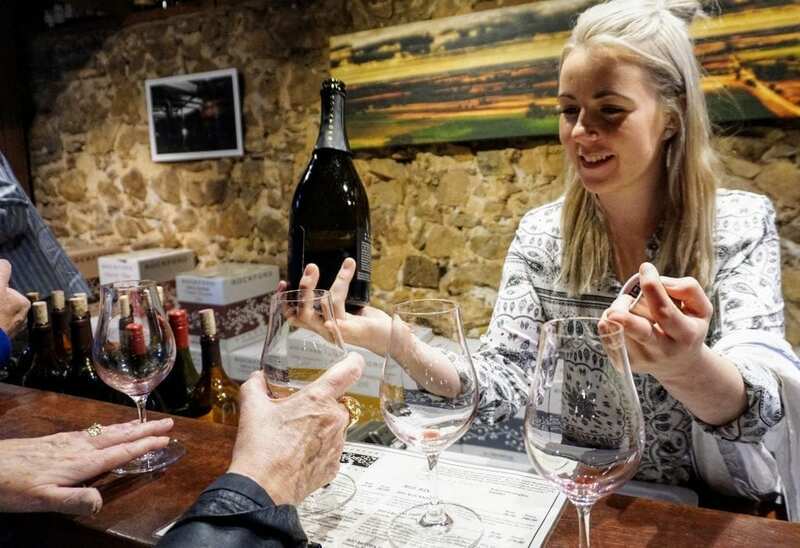 The Barossa, McLaren Vale and Adelaide Hills are food and wine centres a short drive from Adelaide city, offering some of the most exclusive and unique tasting, drinking and dining experiences in Australia. Having once lived in Alice Springs, when I visit it’s often like coming home. 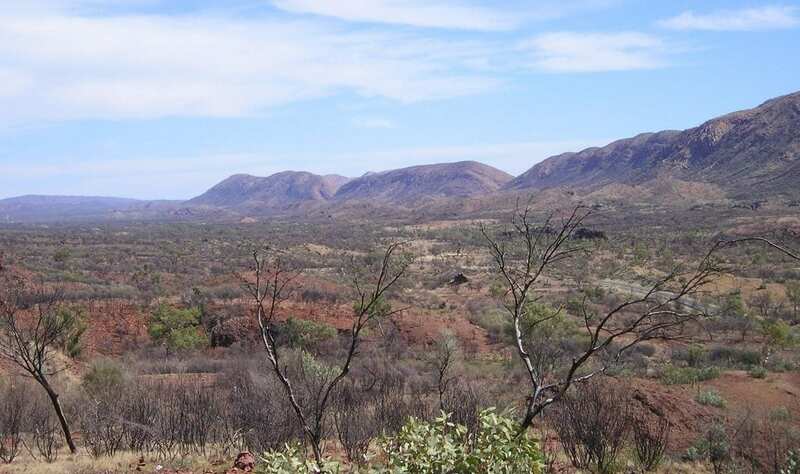 I love the mountains, the rocks and the colours of the landscape in this part of Australia. There is so much to see and do around Alice Springs and I recommend everyone should visit at least once in their lives to experience it all. The flowers often unique to the desert country, grow wild throughout the town and are always picturesque. Galahs, cockatoos and beautifully coloured parrots can be found thriving in this land as do various species of lizards, kangaroos and other wildlife. A brief trip to Nhulunbuy was one of my favourite places last year. 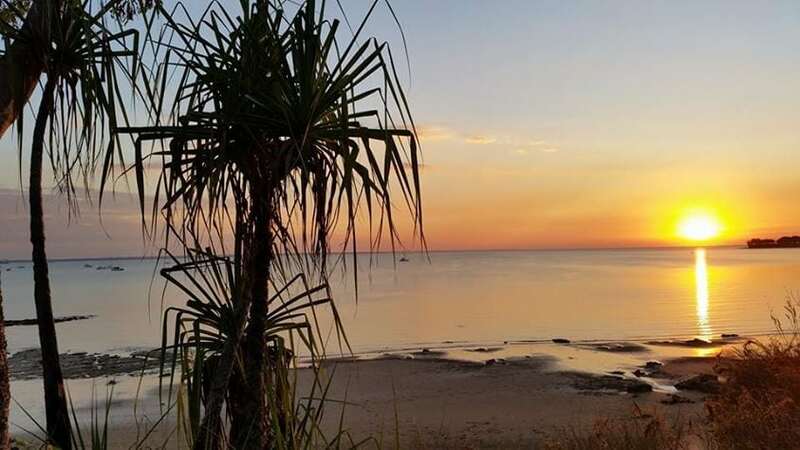 Nhulunbuy is right in the midst of Arnhem Land. It’s remote and reasonably self sufficient. The beaches are beautiful and the fishing is amazing. 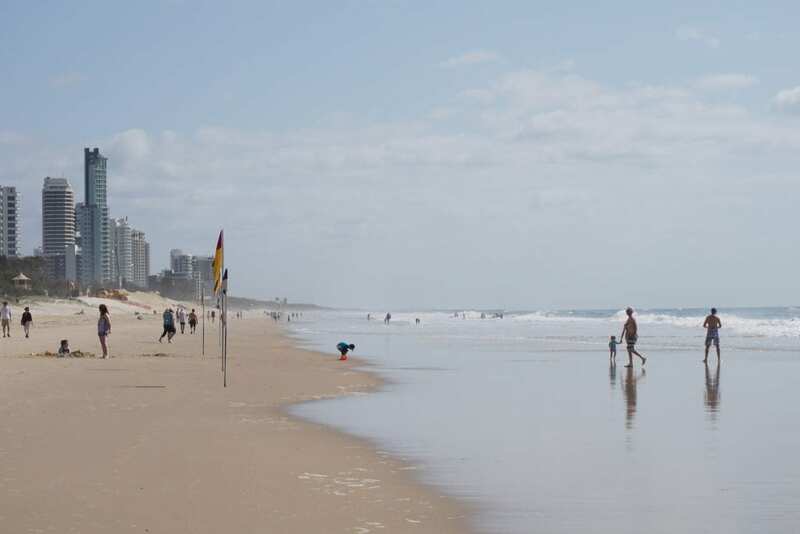 Crocodiles and stingers are in the waters so it’s one of the beaches that you can’t swim in. Wildlife in Arnhem land is plentiful especially the birdlife. 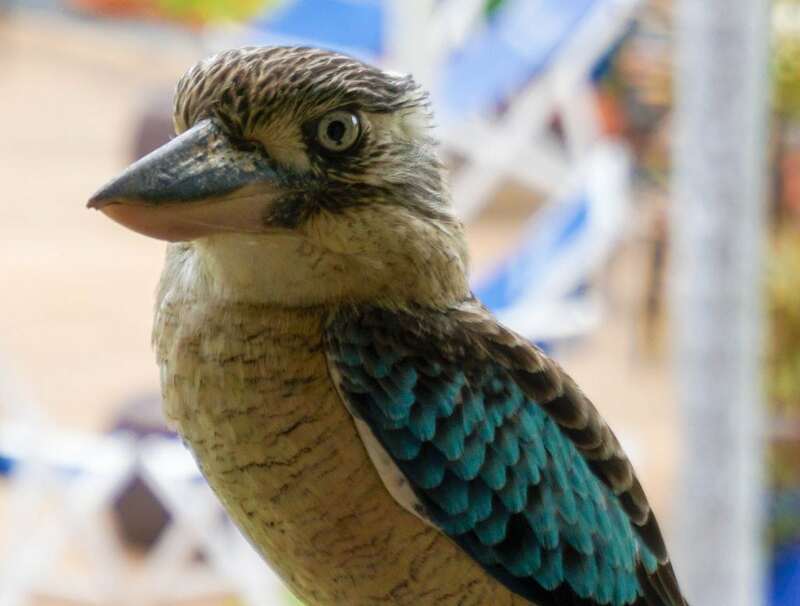 This kingfisher was on my balcony at the hotel. There are a number of important cultural centres in the Top End who faciliate the sales of artwork from artists in this region. They’re famous for their traditional painting and basket weaving. Nhulunbuy is Arnhem Lands’ best kept secret! Often we visit Melbourne for no reason at all but to enjoy the city. 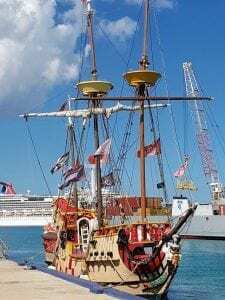 This year we were there to attend a blogging conference which was a little different to our usual travel but a ton of fun. It left time to wander around Southbank and a little sight seeing so all was good! My niece’s wedding was to be in September so we flew down from Darwin a few days early to spend some time at the Gold Coast before heading to Boonah for the family event. To take an early morning walk along the beach was such a treat for us. Gorgeous white sandy beaches that go forever, no crocodiles in sight and breakfast overlooking the beach each morning. So relaxing! This was the perfect wedding venue ever – Kooroomba Lavender Farm. Surrounded by hundreds of acres of lavender fields, an open church in the middle of the vineyard and a beautiful restaurant for the reception. I couldn’t have wished for a more beautiful setting for her. The family stayed at a nearby Old Church B&B. An historic Church built in 1874 minutes from the charming township of Boonah and the beautiful mountains and lakes of the Scenic Rim. We overnighted in Brisbane before our flight back to Darwin early the next day and took the opportunity to meet up with some girlfriends for lunch at the Powerhouse. The Powerhouse Museum has quoted it as “Watt is one of my favorite places to eat out in Brisbane — partly because of the riverside setting in New Farm Park, and partly because of the good food”. Damn right! Food was fantastic, company was awesome and the views spectacular! We slipped over to Bali for a short 2 weeks stay before Christmas to spend a week at our timeshare in Nusa Dua and then another at Ubud at one of our favourite resorts Alaya Resort. Our plan was to take time out to relax, do a little touristing, take some photos and take things easy. 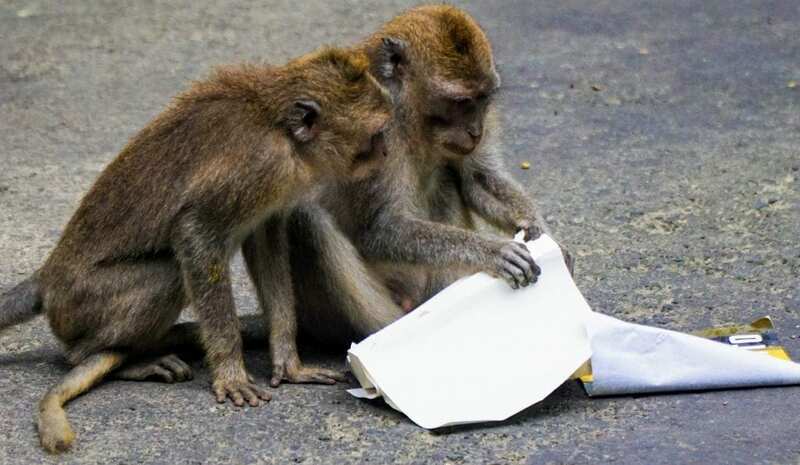 We did just that and … we got caught up in the recent Mt Agung volcano crisis. Home again in Darwin just in time to spend Christmas with the family. It was our time to reflect, share stories and think about what we wanted to do next year. We’ll plan not to be so busy though, perhaps just a couple of smallish road trips and some time at home to explore more of Australia. For now, we’re thinking of Northern Territory trips to Alice Springs, Tiwi Islands and Kakadu and then perhaps South Australia later this year .. of course it goes without saying, Noosa will be on the agenda for the Noosa Strade Bianche again. What was I saying? Already those travel plans are growing! What was your year like? Have you had a huge year too?